"Vitamins Are A Waste of Money!" read the headline, and its sensational nature spread through the media like a Kardashian selfie. Not only are these supplements a waste of money, the stories implored, but they also might even be harmful. This opinion about vitamins and minerals appeared in the "Annals of Internal Medicine" under the title "Enough Is Enough: Stop Wasting Money on Vitamin and Mineral Supplements." An editorial panel of doctors wrote it … you know, the same sort of medical doctors who receive little to no class work on nutrition or dietary supplements, and whose idea of exercise entails whipping out a prescription pad. The editorial panel claimed that vitamin and mineral supplements are a waste based on three studies published in one issue of the "Annals of Internal Medicine." That's right—just three studies. What's more, they ignored the multitude of studies done over several decades showing the clear health benefits of these supplements. So, let's look at the three studies upon which these headlines are based. The first study was actually a sub-study of the Physicians Health Study II. This was an analysis of almost 6,000 male physicians aged 65 years or older. The researchers found no difference in cognitive function between the group of physicians receiving a multivitamin and the group receiving a placebo. Interestingly, the authors concluded that the vitamin supplements being used might not have provided a high enough dose to provide benefits. Also interesting about the Physicians Health study is the fact that one sub-study, published in a 2012 issue of the "Journal of the American Medical Association," concluded that the subjects receiving the multivitamins had a reduced risk of cancer. That was not mentioned in the editorial. An editorial panel of doctors claimed that "Vitamins are a waste of Money!" and ignored the multitude of studies done over several decades showing the clear health benefits of these supplements. The second study looked at the potential benefit of a high-dose multivitamin in patients who had suffered a heart attack. They reported that after almost five years of supplementing, the multivitamin offered no reduced risk to the patients when it came to suffering further cardiovascular events, compared to the placebo. Well, as beneficial as supplements can be, for the most part, a multivitamin is likely not going to be much help in preventing a person who has already suffered a heart attack from suffering future cardiac issues. The damage has been done. So this study was a dubious choice to support a claim that vitamin and mineral supplements offer zero benefit. The third study was an update to the previously published U.S. Preventive Services Task Force (USPSTF) recommendation on the efficacy of vitamin supplements for primary prevention in community-dwelling adults with no nutritional deficiencies. In the editorial, the authors claimed that there is evidence showing that beta-carotene and vitamin E supplements increase mortality. Yet, the USPSTF report did not identify any safety concerns for vitamins. In fact, it actually states, "The USPSTF found adequate evidence that supplementation with vitamin E has little or no significant harm." And the concerns about beta-carotene are isolated to smokers only. So the editorial panel went quite out of its way to bend the real science in their favor and invent safety concerns pertaining to specific vitamins. 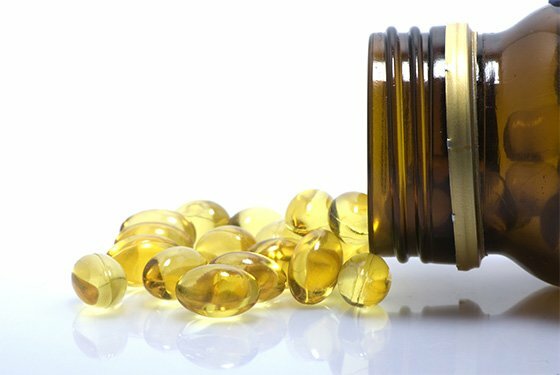 "The USPSTF found adequate evidence that supplementation with vitamin E has little or no significant harm." The editorial panel failed to mention the dozens of studies suggesting benefits of vitamin and mineral supplements when it penned its one-sided case. 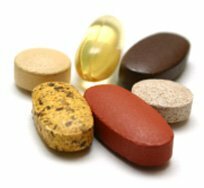 Studies which conclude that vitamin and mineral supplements are beneficial far outnumber the studies which claim they are not. In fact, numerous studies show that they reduce the risk of certain diseases and death. In a study published in the June 2012 issue of the "European Journal of Nutrition," German researchers reported that in a group of about 24,000 people, those participants taking vitamin/mineral supplements at the start of the study encountered a 42% reduced risk in all-cause mortality over the 11 years of the study, and a 48% reduced risk in cancer-related death. A 2012 study published in the "Canadian Journal of Physiology and Pharmacology" suggested that supplementing with a multivitamin could reduce the risk of colon cancer. A 2010 study from Harvard reported that supplementing with multivitamins, especially those including vitamins A, C, and E reduced the risk of colon cancer. Another 2010 study, from the Karolinska Institute, reported that women using multivitamins had a 30% reduced risk of a heart attack. A 2009 study in the "American Journal of Epidemiology" suggested that multivitamin use of over 10 years reduced the risk of death from cardiovascular disease by 16 percent, while vitamin E supplementation specifically can reduce the risk by almost 30 percent. A 2009 study from the National Institute of Environmental Health Sciences reported that women taking a multivitamin supplement have a younger biological age based on telomere length as compared to subjects not supplementing. A 2007 study in the "American Journal of Clinical Nutrition" reported that taking selenium along with a multivitamin reduced the risk of prostate cancer by 40 percent. Another 2003 study, published in the "Annals of Internal Medicine," found that in 130 adults, subjects taking a multivitamin and mineral supplement for one year had significantly less infection, such as respiratory and urinary tract infections, influenza and gastrointestinal infections, and a lower rate of illness-related absenteeism than subjects receiving a placebo. I find it interesting that the panel of MDs who concocted the article in question focused on that one sub-study from the Physicians Health Study II which showed no difference in cognitive function between a low-dose multivitamin and a placebo. One 2012 study from Australia analyzed the data from 10 studies on cognitive function and multivitamin use in more than 3,000 subjects. They reported that multivitamin use was associated with better memory in females. One 2012 study from Australia found multivitamin use was associated with better memory in females. A 2012 study published in "Psychopharmacology" reported that elderly women with cognitive decline given a multivitamin/mineral complex for four months had significant improvements in memory as compared to subjects given a placebo. A 2010 study from U.K. researchers found that young to middle-aged women taking a multivitamin/mineral supplement for nine weeks performed significantly better on cognitive tasks than women taking a placebo. This boost in brainpower isn't reserved for women. A 20011 study from Australian researchers reported that eight weeks of supplementation with a multivitamin in men increased alertness and feelings of general day-to-day well-being. A 2010 U.K. study revealed that men taking a multivitamin/mineral supplement for about five weeks performed better on cognitive tasks, were less mentally tired, and reported improved vigor as compared to men taking a placebo. These mental benefits have even been recorded in children. U.K. researchers reported in a 2008 issue of the "British Journal of Nutrition" that children aged 8-14 taking a multivitamin supplement for 12 weeks demonstrated better attention and cognitive function. One 2003 study by the Lewin Group reported that the use of a daily multivitamin by older adults could save the U.S. government more than $1.6 billion in Medicare over the five year period from 2004-2008. One 2003 study reported that the use of a daily multivitamin by older adults could save the U.S. government more than $1.6 billion in Medicare. This year, a review conducted by Frost & Sullivan and commissioned by the Council for Responsible Nutrition (CRN) Foundation concluded that supplement use can add up to billions of dollars in savings on health care costs by reducing hospital visits and the use of other medical services. The survey looked at several different supplements and conditions including omega-3 fats, B vitamins, plant sterols, and psyllium dietary fiber for heart health, lutein and zeaxanthin for eye health, chromium picolinate for heart disease induced by diabetes, and calcium, as well as vitamin D for bone health. They not only included positive studies on these supplements, but also negative and null studies to create a real state of the evidence review. The review reported positive results. Supplementing with calcium and vitamin D could save more than $1.5 billion a year on osteoporosis costs alone. Some supplements were concluded to save up to $3.3 billion per year, such as plant sterols for services related to heart health. 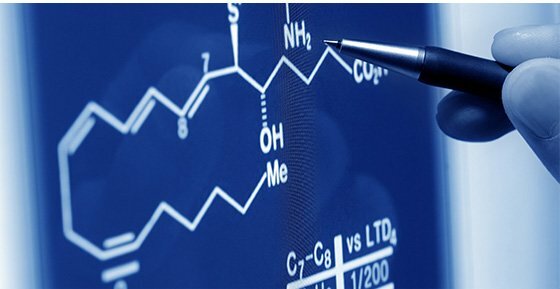 When you consider that the Frost & Sullivan review concluded that supplements could save us billions of dollars in health care costs, the editorial penned by the panel of MDs starts to make more sense. Who stands to lose billions of dollars in revenue if more people took their health seriously and started exercising, eating better, and using proper supplements? You really have to wonder about MDs who adamantly state that vitamin and mineral supplements are useless and dangerous, yet likely have no issue pushing prescription drugs on their patients at the first sign of any health issue. Guallar, E., et al. Enough is enough: stop wasting money on vitamin and mineral supplements. Annals of Internal Medicine, 159(12):850-851, 2013. Grodstein, F., et al. Long-Term multivitamin supplementation and cognitive function in men: A randomized trial. Annals of Internal Medicine, 159(12):806-814, 2013. Lamas, G. A., et al. Oral high-dose multivitamins and minerals after myocardial infarction: A randomized trial. Annals of Internal Medicine, 159(12):797-805, 2013. Fortmann, S. P., et al. Vitamin and mineral supplements in the primary prevention of cardiovascular disease and cancer: An updated systematic evidence review for the U.S. Preventive Services Task Force. Annals of Internal Medicine, 159(12):824-834, 2013. Li, K., et al. Vitamin/mineral supplementation and cancer, cardiovascular, and all-cause mortality in a German prospective cohort (EPIC-Heidelberg). Eur J Nutr. 2012 Jun; 51(4):407-13. Arul, A. B., et al. Multivitamin and mineral supplementation in 1,2-dimethylhydrazine induced experimental colon carcinogenesis and evaluation of free radical status, antioxidant potential, and incidence of ACF. Canadian Journal of Physiology and Pharmacology, 90(1):45-54, 2012. Park, Y. et al. Intakes of vitamins A, C, and E and use of multiple vitamin supplements and risk of colon cancer: a pooled analysis of prospective cohort studies. Cancer Causes Control. 2010 Nov; 21(11):1745-57. Rautiainen, S., et al. Multivitamin use and the risk of myocardial infarction: a population-based cohort of Swedish women. American Journal of Clinical Nutrition, 2010. Pocobelli, G., et al. Use of supplements of multivitamins, vitamin C, and vitamin E in relation to mortality. American Journal of Epidemiology, 2009. Xu, C., et al. Multivitamin use and telomere length in women. American Journal of Clinical Nutrition, 89(6):1857-1863, 2009. Peters, U., et al. Serum selenium and risk of prostate cancer-nested case-control study. The American Journal of Clinical Nutrition, 85(1):209-217, 2007. Dobson, A. et al. A study of the cost effects of daily multivitamin for older adults. The Lewin Group, 2003. Barringer, T. A., et al. Effect of a Multivitamin and Mineral Supplement on Infection and Quality of Life: A Randomized, Double-Blind, Placebo-Controlled Trial. Annals of Internal Medicine, 138(5):365-371, 2003. Macpherson, H. et al. Memory improvements in elderly women following 16 weeks treatment with a combined multivitamin, mineral and herbal supplement—A randomized controlled trial. Psychopharmacology, 220(2): 351-365, 2012. Haskell, C. F., et al. Effects of a multi-vitamin/mineral supplement on cognitive function and fatigue during extended multi-tasking. Hum Psychopharmacol. 2010 Aug; 25(6):448-61. Harris, E., et al. The effect of multivitamin supplementation on mood and stress in healthy older men. Human Psychopharmacology: Clinical and Experimental, 26(8): 560-567, 2011. Kennedy, D. O., et al. Effects of high-dose B vitamin complex with vitamin C and minerals on subjective mood and performance in healthy males. Psychopharmacology (Berl). 2010 Jul; 211(1):55-68. Haskell, C. F., et al. Cognitive and mood effects in healthy children during 12 weeks supplementation with multi-vitamin/minerals. Br J Nutr. 2008 Nov; 100(5):1086-96. Gibson, J. C., et al. Nutrition status of junior elite Canadian female soccer athletes. Int J Sport Nutr Exerc Metab. 2011 Dec; 21(6):507-14. Czaja, J., et al. Evaluation for magnesium and vitamin B6 supplementation among Polish elite athletes. Rocz Panstw Zakl Hig. 2011; 62(4):413-8. Martinović, J., et al. Oxidative stress biomarker monitoring in elite women volleyball athletes during a 6-week training period. J Strength Cond Res. 2011 May; 25(5):1360-7. Zaĭtseva IP. Efficiency of using vitamin-mineral complexes in the prevention of iron-deficiency states in athletes. Gig Sanit. 2010 Jul-Aug;(4):66-9. Louis, J, et al. Vitamin and mineral supplementation effect on muscular activity and cycling efficiency in master athletes. Appl Physiol Nutr Metab. 2010 Jun; 35(3):251-60. Clarkson, P. M. Effects of exercise on chromium levels. Is supplementation required? Sports Med. 1997 Jun; 23(6):341-9. Clarkson P. M. and Haymes E. M. Trace mineral requirements for athletes. Int J Sport Nutr. 1994 Jun; 4(2):104-19. Telford, R. D., et al. The effect of 7 to 8 months of vitamin/mineral supplementation on the vitamin and mineral status of athletes. Int J Sport Nutr. 1992 Jun; 2(2):123-34. Dam, B. V. Vitamins and sport. Br J Sports Med. 1978 Jun; 12(2):74-9. Mursu, J., et al. Dietary supplements and mortality rate in older women: The Iowa women's health study. Archive of Internal Medicine, 171(18):1625-1633, 2011.